Mmm... the smell of a chocolate cake baking in the oven is mesmerizing, don't you think? 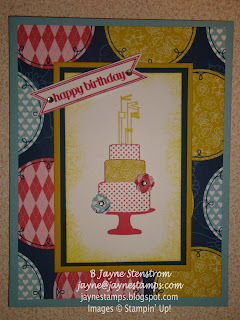 I don't have a chocolate cake for you today, but I do have some samples made with the new Make a Cake stamp set. This card was one we made at a recent meeting. 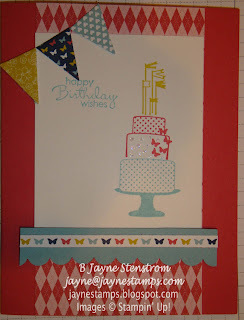 It also uses the Itty Bitty Banners stamp set and coordinating Bitty Banners Framelits. What is it about little things that makes me want to squeal with delight? 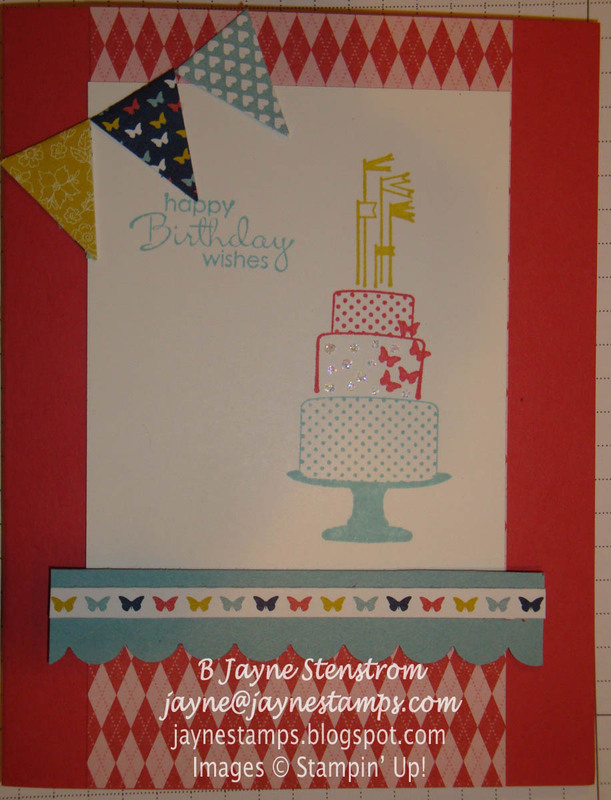 There is also a coordinating Designer Series Paper package for this stamp set - Patio Party DSP. This card was made by Diane Kipp. It uses many of the same elements as the first card but looks quite different.